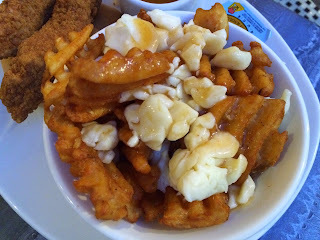 When I had Sweet Potato Poutine at St-Hubert, my husband upgraded his side fires into Waffle Fries Poutine. He didn't think they could do it but asked the waitress, "I don't think it's possible, but could you make a poutine with waffle fries?" And the answer was crisp and quick, "Yes, sure sure." 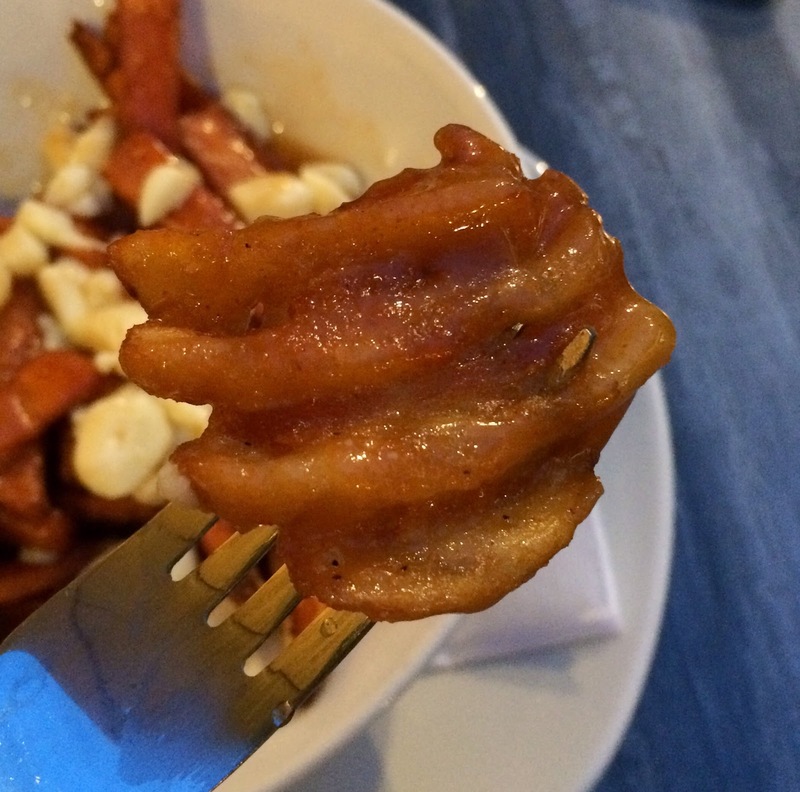 We thought pretty much anything could be transformed into poutines here. 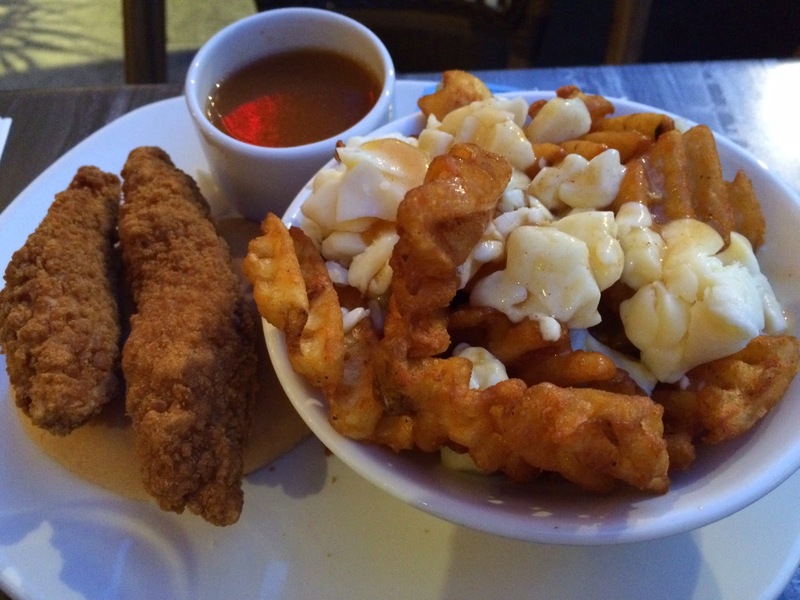 He had a 2 chicken fillet with a side, which is upgraded to poutine from fries. There're many large cheese curds in the bowl. Waffle fries were seasoned with slightly spicy seasonings, and they went well with subtly sweet and light textured gravy sauce. Gravy sauce was caught in every single hole of the waffle fries, and some got very soggy by the time we reached those fries. * They only charged for the upgrade but no extra cost for waffle fries.